This summer I decided that I was on a mission to find some kid and teen friendly vacation spots that were within driving distance. As my kids get older their desire to do, the usual summer family vacations have declined! They prefer more action packed activities and adventures. Plus the sad fact is my two teens really don’t like being away from home longer than a couple of days at a time now! (Who would have thought?) So, I decided that this summer instead of a weeklong relaxing beach vacation, we were going to do several road trip weekend getaways! So that made me realize that this would be a great summer series for my blog and readers! I will be blogging all our travel stays and recommendations along with tips on how to save while having fun and providing your family with memories they will never forget! If you follow me on any social network I’m sure that you seen that we did our first family road trip last weekend! I have to admit we really had a lot of fun! However, since our trip was short it was a non-stop adventure to say the least! But hey that’s what they kids seem to enjoy so it works for me! Our First stop was Gatlinburg, TN. Gatlinburg, TN is an ideal place for a family vacation and the scenery is beautiful! The kids really enjoyed the ride up there and didn’t complain the whole time! My oldest daughter loves photography so she spent most of her time taking pictures of all the mountains. This also allowed us time to just converse with each other without any interruptions since most of the time we didn’t have really good cell phone service. (YAY) I haven’t been to Gatlinburg, TN in a long time and this was my kid’s first visit. 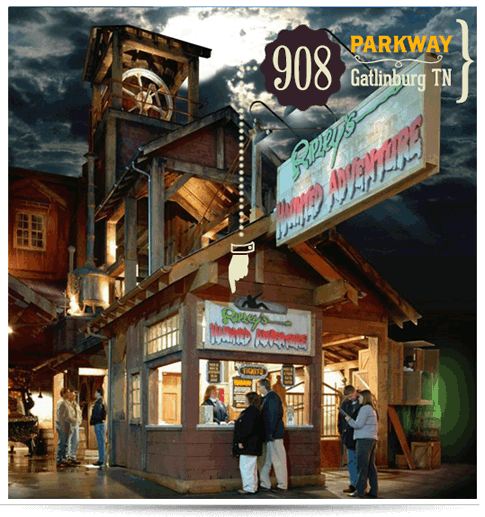 There are many activities to enjoy in the Town of Gatlinburg for both children and adults alike. Of the many attractions found there I really have to say that we thought that the Ripley’s attractions were some of the best! With a total of 8 different Ripley attractions there is literally something for everyone! Our first stop was RIPLEY’S AQUARIUM of the SMOKIES, however that is a blog post alone! So make sure you check back to read the full review, because this is one attraction that you don’t want to miss! Ripley’s Aquarium of the Smokies is hundreds of miles from the ocean, the scenic beauty and the abundance of water all around makes the town of Gatlinburg a “natural” location for a world-class aquarium, voted America’s #1 aquarium by TripAdvisor and we now know why! 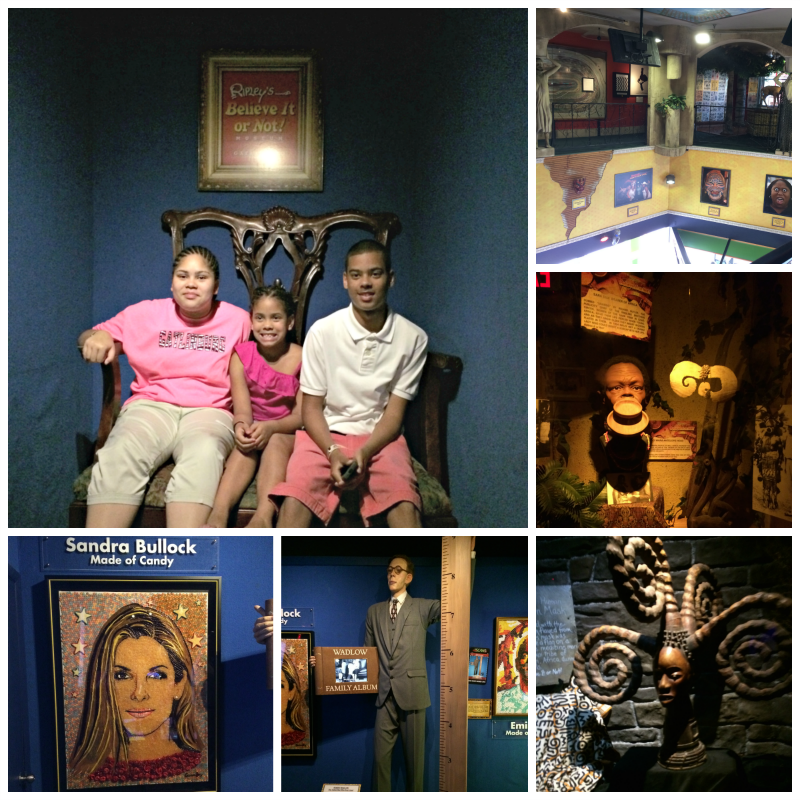 The Ripley’s Believe It or Not Odditorium was our 2nd stop, this place has something for everyone. In Ripley’s, the displays include the World’s Smallest Violin, a Vampire Woman, Shrunken Heads, a 12-foot tall Transformer made of old car parts and other oddities that Robert Ripley searched the world over to find. You will be amazed by some of the oddities that Mr. Ripley secured from some of the most obscure places in the world for his Ripley’s Believe It or Not Odditoriums, not only in Gatlinburg but the world over. Go and be amazed by what he found! The whole family really enjoyed our time there! The 3rd stop was Ripley’s Haunted Adventure, which features the best of the ghostly images and creatures that haunt our nightmares. Live actors portray ghostly characters designed to give you quite a scare! We rode the lift up to the top to be greeted by someone who told us the rules, led us on our way, and then left us to go through it alone. It was pitch dark and you have to feel you’re away around! With no phones, flashlights or any other things allowed you have to count on eachother to find your way around. This is not recommended for younger children that scare easily or someone who is claustrophobic. When I say it was pitch dark it was PITCH DARK! I admit it really wasn’t what I was expecting scare wise but it was fun laughing at my older kids, however my 9 year old daughter didn’t like it one bit! She was in tears before we got out so if I had to do it over again I would have stayed outside with her while the others went. Personally, I wouldn’t go through it again. It just wasn’t the scare factor I was hopping for. The 4th stop was Ripley’s Moving Theater. 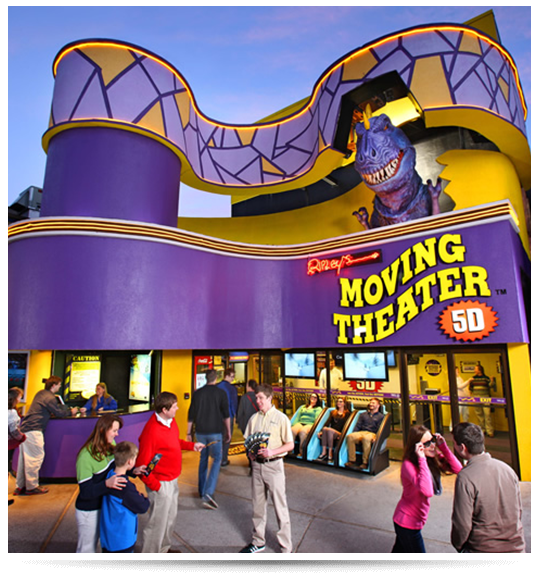 With REAL D 3D Moving Theater experience, this is a must see! The state of the art theater with digital effects and motions seats will have you feeling like you’re in the movie! Everyone loved this and even wanted to do it again! Everyone in the theater was having a lot of fun also. We saw Rats Race and Winter Wipeout adventures. I have to admit that the Winter Wipeout adventure was my favorite! The snow being sprayed at us made it so realistic. The attraction is a little short but It’s well worth it and is great fun for the kids and even the adults LOL! Make sure to click the link to learn more and watch a clip of the videos that are currently playing. It’s safe to say we will be going back! 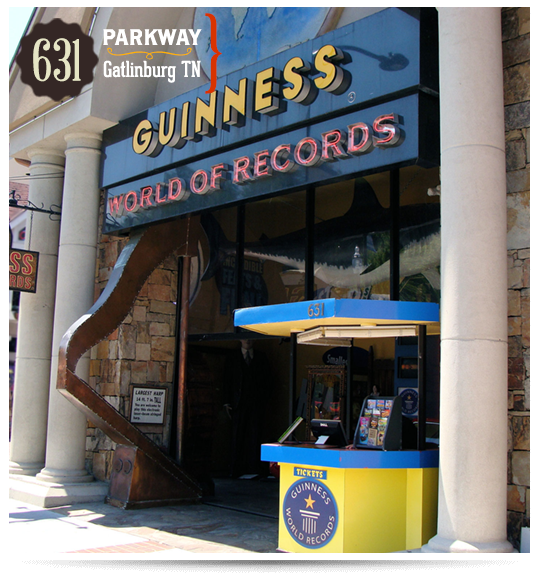 Our 5th stop of the day was The Guinness Book of World Records where history comes to life at Ripley’s! Through interactive games and videos, test your trivia knowledge of the most widely read book and its interesting contents, including Michael Jordan and of course Elvis! This place is a must see! 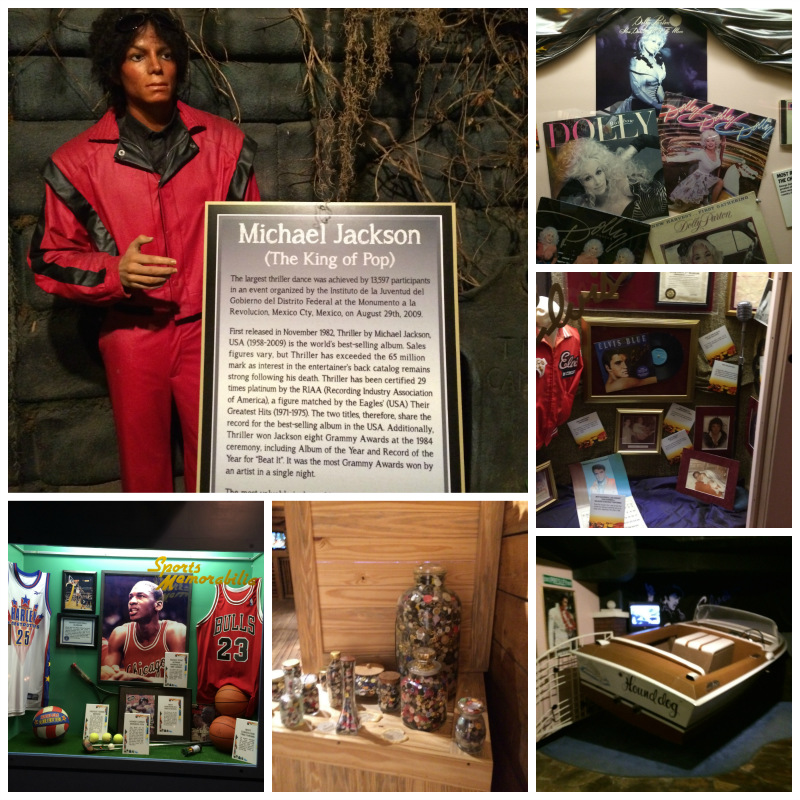 The kids really enjoyed the interactive games and my husband loved all the sports and music memorabilia. We really enjoyed our time there and spent a little longer there then expected because the kids loved the interactive games so much! I feel this should be on everyone’s list to visit a least one time! Our 6th stop was Ripley’s Mirror-Maze just like any other mirror maze you try to find your way out as fast as possible. My oldest daughter got us out in no time! To be totally honest this was our least favorite attraction of them all. So this wouldn’t be something that we were personally do again. However, when we got out we did enjoy the Candy Factory that has all the old classic candy you could think of! But be warned it gets a little pricy! As you can see, we had a long exciting day! At this point, everyone was ready to take a break so we went back to our room to lie back for a while and grab a bite to eat. After that, we decided that our last stop of the day would be a fun competitive game of mini-Golf. 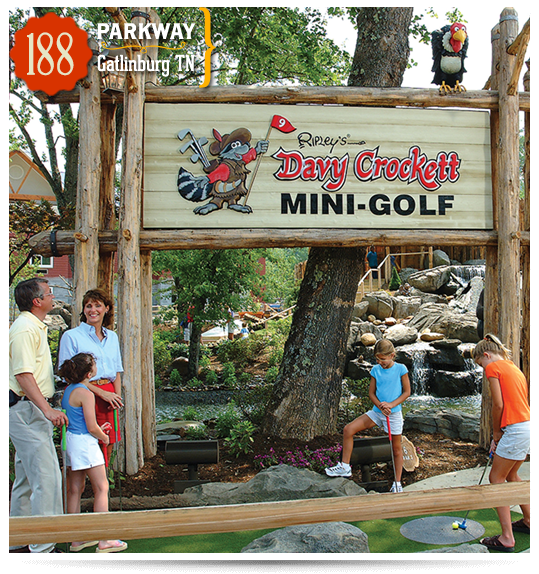 Ripley’s has two unique Mini Golf Courses conveniently located in nearby Sevierville, TN. One of them takes you through the adventures of Davy Crockett while the other will take to Old MacDonald’s Farm. The two interactive adventures provide a look at the “old days” of the Tennessee frontier and the other will teach your children not only how to play Mini Golf but give them a look at life on the farm! So, we decided to go to the adventures of Davy Crockett. The best way for you to enjoy your family vacation is to decide which adventures interest you most and then purchase your tickets ahead of time. The advantage of already having your tickets at the time you enter your adventure zone is you will not have to wait in long lines. At Ripley’s, you can bundle your tickets and choose one main adventure and then add others to it. This allows you to purchase your tickets at a discounted price, saving you time and money. To check prices or buy tickets click here. 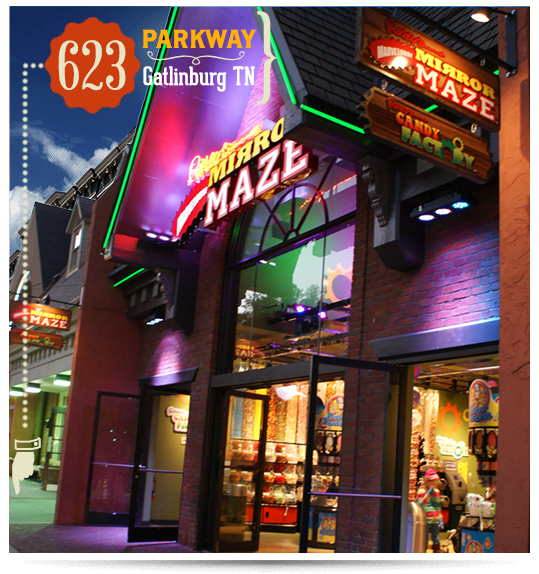 Your family fun kid approved vacation in Gatlinburg awaits!